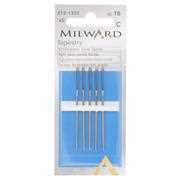 Pack of six needles. 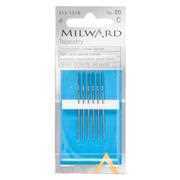 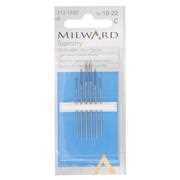 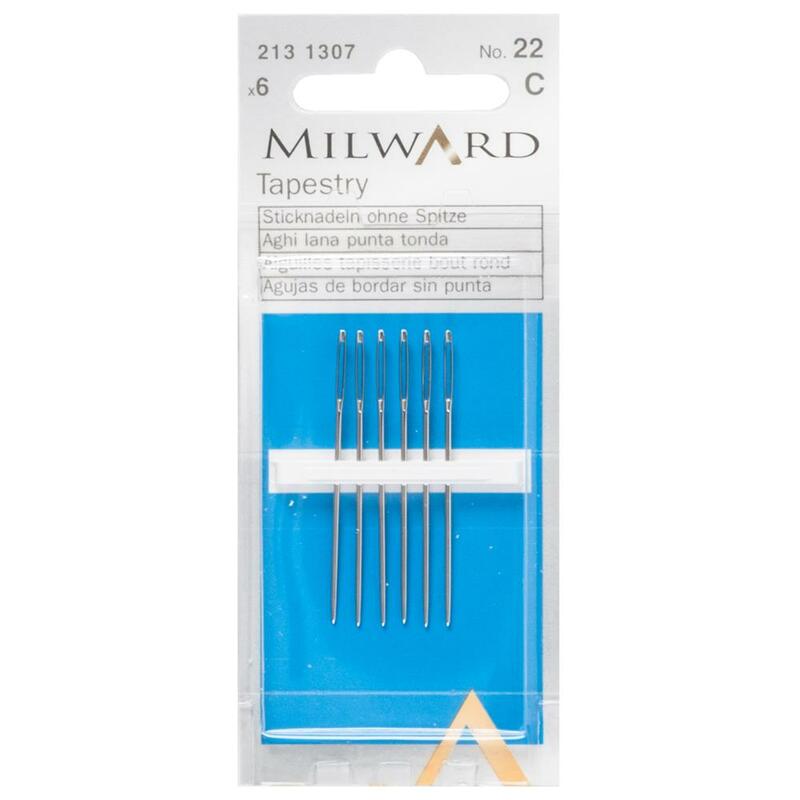 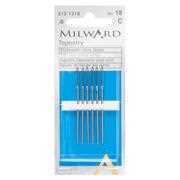 Sized 0.94mm x 40.5mm Millward tapestry needles have large eyes and rounded points, which enable the needle to slip between the fabric fibres without snagging or causing damage. 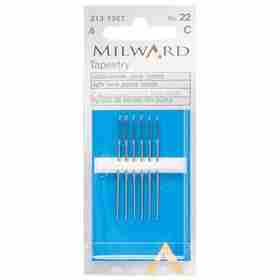 Tapestry needles are used with wool or thick cotton for canvas embroidery or on coarse open weave fabrics.